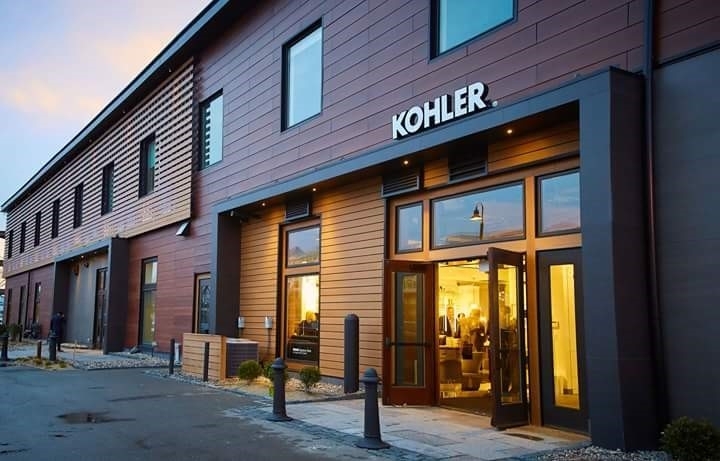 Supply New England has opened its third Kohler Signature Store at 7 Tide Street in Boston's Seaport District. The new showroom opened in April, and will complement the Kohler Signature Stores that Supply New England currently operates in Natick and Burlington. The Kohler Signature Stores by Supply New England have been prime destinations for customers seeking inspiration and the latest designs in bath and kitchen faucets and sinks, showerheads, tubs, toilets, tile, cabinetry, and other premium kitchen and bath products. The stores feature dramatic displays highlighting products in an eclectic range of real-life settings. The 7 Tide Street location is an ultra-modern, state-of-the-art showroom offering three kitchen vignettes, eight full bath suites and eleven bath ensembles. With design and installation experts on staff, Kohler Signature Stores serve as a premier resource for contractors and homeowners. "With the success of Supply New England's Kohler Signature Stores in Naticik and Burlington, the opportunity to expand the Kohler footprint to Boston's vibrant seaport area was incredibly exciting," says Sabrina DaLomba, Director of Showrooms for Supply New England. "Now the city's trade professionals and consumers can immerse themselves in Kohler's full line and experience firsthand how these products can transform their projects."